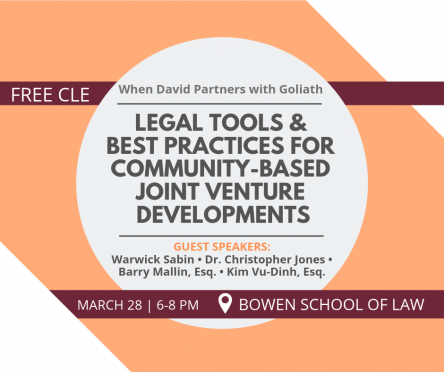 The Business Innovations Legal Clinic at the University of Arkansas at Little Rock William H. Bowen School of Law will host a free, two-hour course on community-based real estate development and joint ventures on Thursday, March 28. Christopher Jones, an Arkansas native serving as executive director of the Arkansas Regional Innovation Hub and former executive director of the nationally-recognized Dudley Street Neighborhood Initiative in Boston. Warwick Sabin, senior director of U.S. programs of the Rockefeller Foundation who developed numerous local projects, including the South on Main and Oxford American cluster in Downtown Little Rock and the Arkansas Regional Innovation Hub in North Little Rock. This free event is open to all attorneys, students, and members of the public. Attorneys can receive two hours of continuing legal education credit. A complimentary meal will be provided by Ayo Foods, LLC, a worker-owned, new, local, business and client of the Business Innovations Legal Clinic. Please RSVP with the number of attendees. 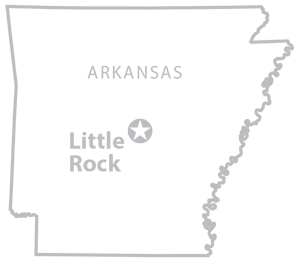 The Business Innovations Legal Clinic provides high-quality, pro bono transactional legal counsel to small businesses and nonprofit organizations working in economic development, many of which would not be able to obtain legal assistance otherwise. This clinic is funded by a generous grant from the state’s Attorney General’s Office.